Now this is why I bought a refractor! One thing that has always caused me a great deal of difficulty in imaging is controlling a bright star in the field. I've always used reflectors and the bright halo caused by the secondary has been all but impossible to keep from overwhelming the image. 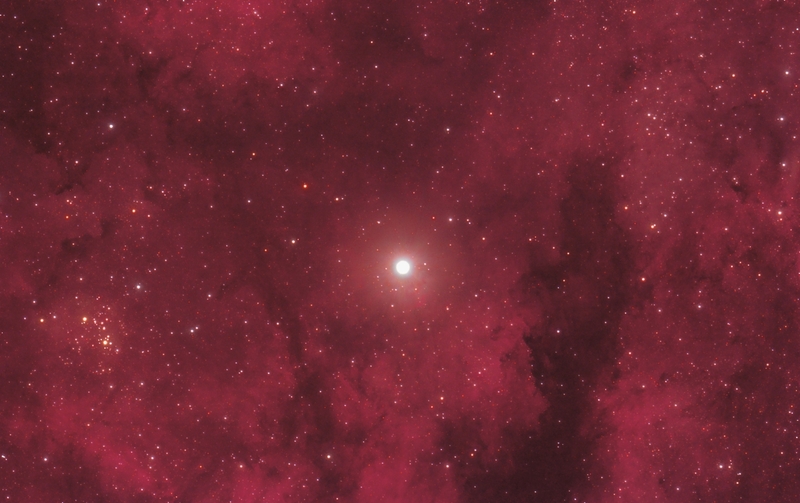 Here is an image of the Sadr region in Cygnis and I was very pleasantly surprised at how easy it was to keep the smaller refractor halo under control. Click on the image to see a much higher resolution version and then click on that image to return to this page. Processing This image was processed entirely in Images Plus. Calibration, stacking, statistical filter applied to reduce noise before stretching. Masked stretching and split star processing used to enhance the image. Masked noise reduction using a frequency domain lowpass filter applied to the DSO layer and then it was recombined with the star layer. Image binned 2 by 2. No sharpening or star reduction was applied. Since the 60Da has on sensor dark suppression no darks were used in the calibration.